“We learned that because they had such a good experience with us when they appeared with Kanye in 2008, they were happy to discuss a performance on this year’s show,” Executive Producer Ken Ehrlich tells Rolling Stone. Ehrlich went on to promise “a collaborative and celebratory stage performance that honors their multi-nominated music,” those nominations being for Album of the Year, Best Dance/Electronica Album, Record of the Year (“Get Lucky”), and Best Pop Duo/Group (“Get Lucky”). Whether that collaborative performance will be with Kanye yet again, possibly for an uncomfortable rendition of “Black Skinhead,” is yet to be seen. There has been no response from jilted late night host Stephen Colbert, though we certainly hope one is coming. 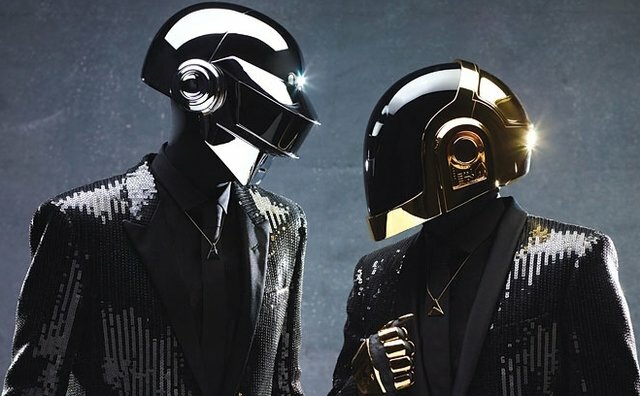 As you may recall, Daft Punk were supposed to end their small screen drought with a performance on The Colbert Report earlier this year, but a contractual dispute with MTV prevented that. They would then go on to present, but not perform, at the VMAs. Colbert took exception to being stood up, and the best music video of the year was spawned.